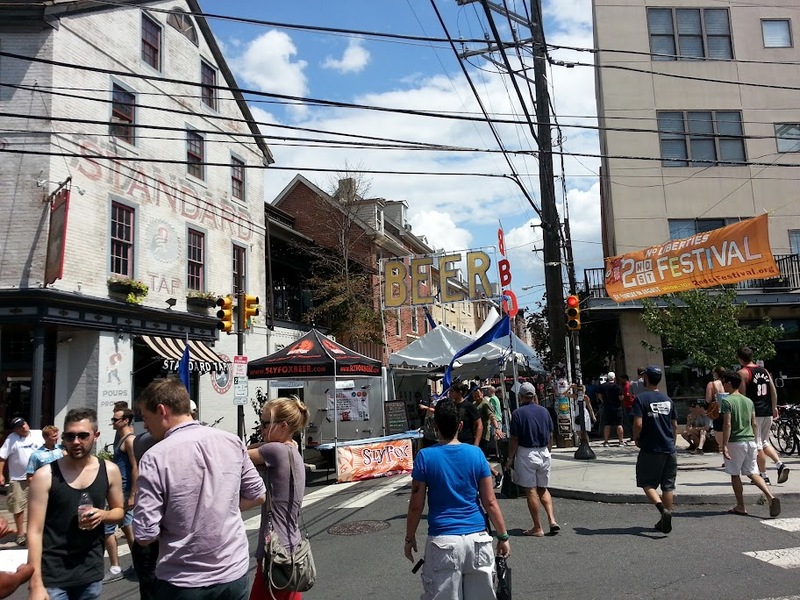 If there is one thing Philadelphia does right (and yes, there might only be one thing) it’s beer. They’ve got a great beer scene, and it was very evident to me recently when I was downtown for the 2nd Street Festival last week. There was a lot of good beer available when I walked the street. Sly Fox was one of the highlights, I had a Pikeland Pils while I walked around in the blistering heat. There was plenty of other beer there as well, plus other alcohols too. Another highlight was the multitude of shaded beer tents with dedicated beer areas out of the sun. They were basically outdoor bars that offered the ability to basically step away from the street fair and into a beer area to relax a bit. It’s great that the city can make the street into an outdoor festival and include beer and drinking; something you don’t see everywhere. If it wasn’t so blistering hot last weekend, I would’ve stuck around even longer to enjoy some other brews.